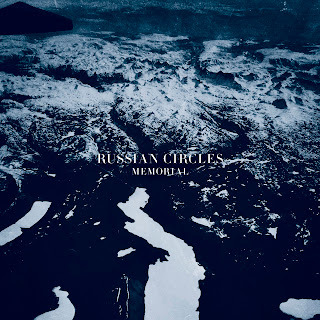 Chicago trio Russian Circles release their acclaimed fifth album, Memorial today. 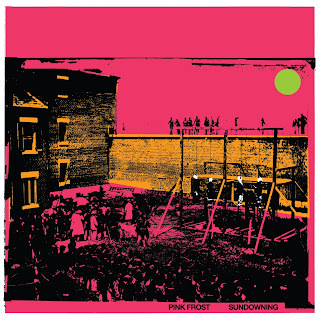 The full album is available for physical order HERE and digital HERE. Stream/share Memorial in full HERE. Pitchfork recently premiered the epic tune "1777" is available to listen/share on Pitchfork or Soundcloud. Rolling Stone also recently debuted the album's title track, featuring guest vocals by label (and tour) mate Chelsea Wolfe. Listen to "Memorial" HERE. 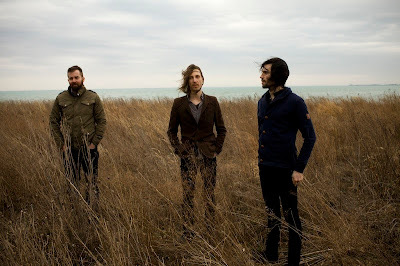 Russian Circles previously shared the first track from the album via Pitchfork. 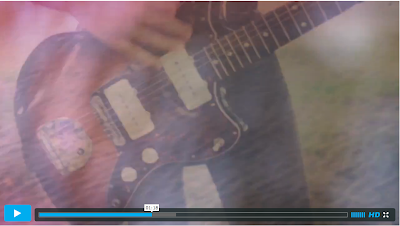 Listen to the song "Deficit" HERE. (Soundcloud link HERE.) Check out cover art and track listing below. Russian Circles are currently on the road in the EU and UK with Chelsea Wolfe. Both bands are playing full headlining sets, with Wolfe joining Russian Circles to sing the album title track every night. 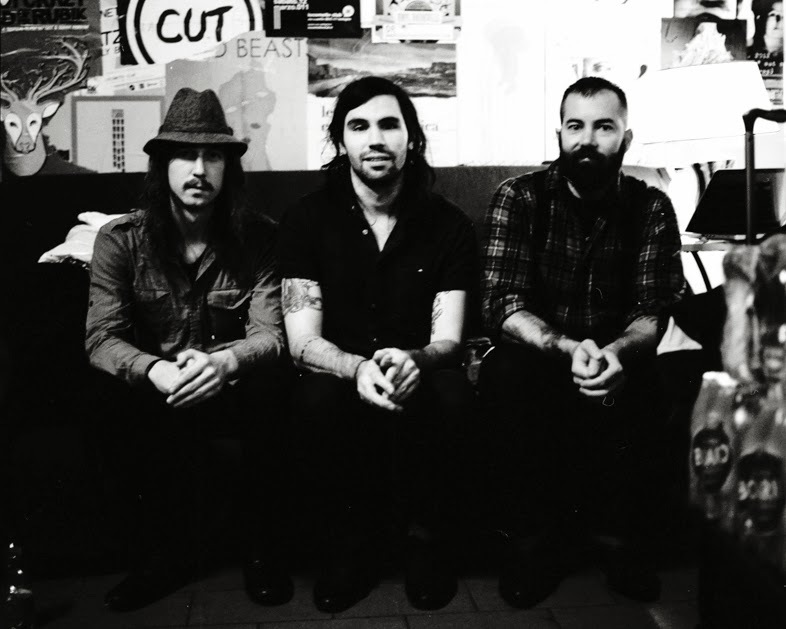 Russian Circles will also tour the US in early 2014. Please see complete dates below. Memorial was recorded at the Electrical Audio studio in Chicago with the band's longtime producer Brandon Curtis of The Secret Machines and Interpol who also helmed the band's two previous albums, Empros and Geneva. Memorial is available on LP, CD and download via Sargent House on October 29th, 2013. 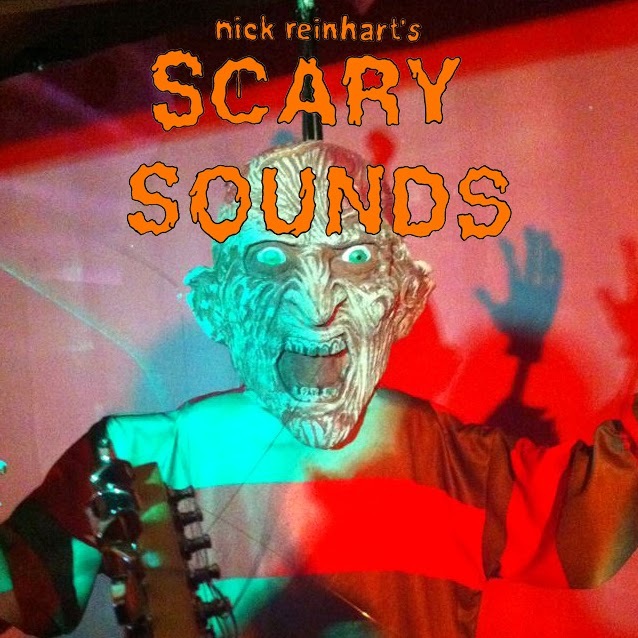 Nick Reinhart, guitarist and vocalist in Tera Melos releases a special Halloween-themed album, Scary Sounds today while streaming all 14 spine-tingling tracks via Noisey. The painstakingly composed album was created entirely on guitar, making other-worldly noises befitting the holiday tradition. Listen to Scary Sounds HERE. 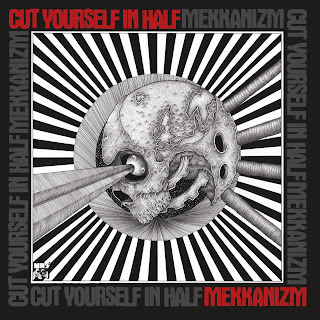 Full album Bandcamp link HERE. Tera Melos is currently headlining the Sargent House tour with label mates Zorch, joined by Fang Island for East Coast dates now underway. Please see remaining dates below. Chicago trio Russian Circles are streaming their forthcoming fifth album, Memorial in its entirety today via Pitchfork Advance. The full album stream comes a week ahead of the album's October 29th release date, and is available for physical pre-order HERE and digital HERE. The Pitchfork Advance package features several breathtaking landscape images taken by photographer Ryan Russell, who also snapped all of the album packaging's frozen scenery. Stream Memorial HERE. 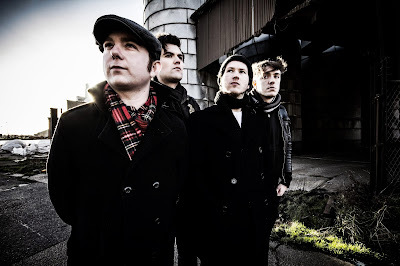 Memorial was recorded at the Electrical Audio studio in Chicago with the band's longtime producer Brandon Curtis of The Secret Machines & Interpol who also helmed the band's two previous albums, Empros and Geneva. 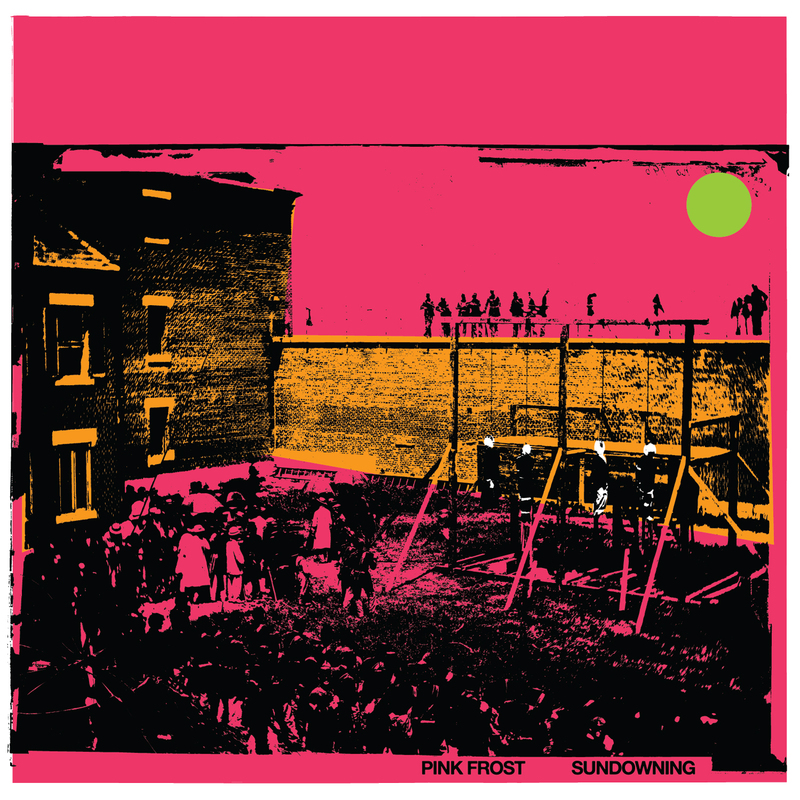 Chicago quartet Pink Frost premiere the first video from their new album Sundowning today via Brooklyn Vegan. 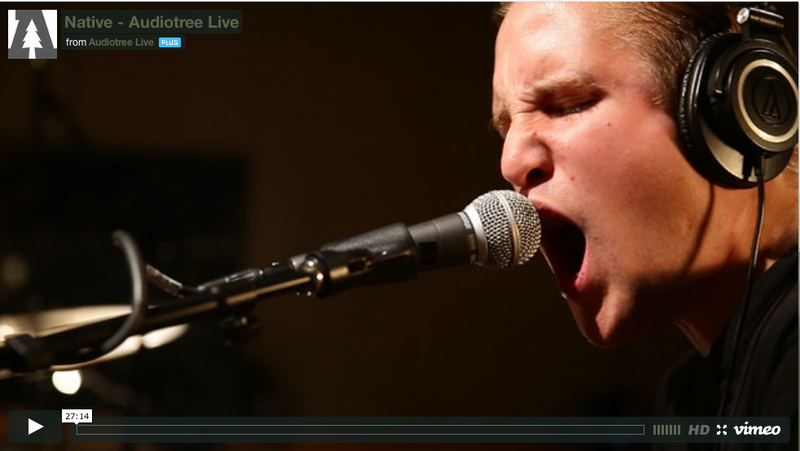 The clip for the song "The Difference" is available to watch/share HERE. 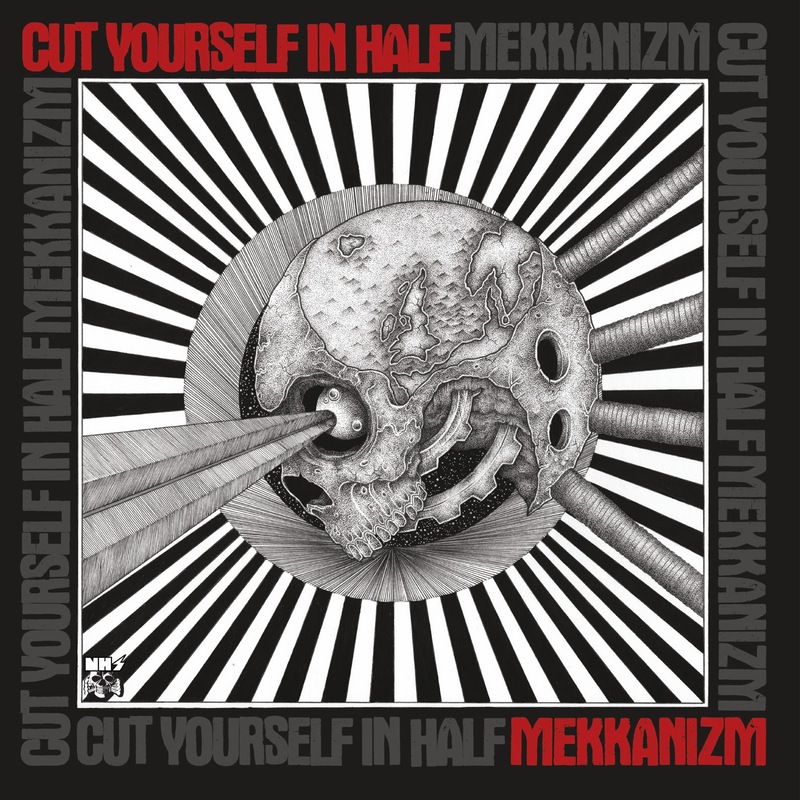 SPIN recently shared the blistering album in full, which is available to stream HERE. Pitchfork debuted the first track from the album, "Ruins" available for streaming/download HERE. Or, Soundcloud HERE. Chicago trio Russian Circles premiere another new track from their forthcoming fifth album, Memorial today via Pitchfork. The epic tune "1777" is available to listen/share on Pitchfork or Soundcloud. Rolling Stone also recently debuted the album's title track, featuring guest vocals by label (and tour) mate Chelsea Wolfe. Listen to "Memorial" HERE. Russian Circles previously shared the first track from the album via Pitchfork. Listen to the song "Deficit" HERE. (Soundcloud link HERE.) Check out cover art and track listing below. Russian Circles hit the road in the EU and UK with Chelsea Wolfe next week. Both bands will play full headlining sets. Russian Circles will tour the US in early 2014. Please see complete dates below. Tera Melos debut another track from their forthcoming X'ed Out Remixes EP today via Noisey. The song is an overhaul of "Snake Lake" by Busdriver, featuring guest rapper Milo. Listen/share via Noisey.com and Soundcloud. 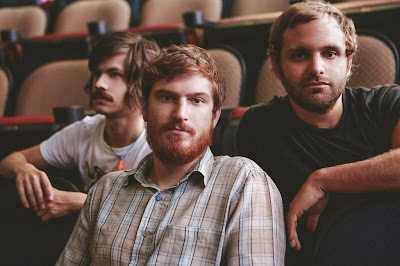 The trio recently shared a reworking of "Weird Circles" by Jason Bartell of Sargent House label mates and upcoming tour mates Fang Island. Listen/share via SPIN and Soundcloud. Tera Melos launch Fall tour dates this month with Sargent House label mates Zorch on all shows and Fang Island joining the bill on the East Coast leg. This extensive U.S. trek follows shortly after Tera Melos' recent run with Minus the Bear. Please see complete dates below and specific details (tickets, times, etc) HERE. X'ed Out Remixes EP will be available on limited edition rainbow-sparkle 10" vinyl at shows beginning in October and pre-order via the band's merch store HERE. The EP will also be available for digital download on October 8th. Northwest Indiana's Native announce new North American tour dates starting in November following the recent release of their sophomore album Orthodox. Having finished an extensive U.S. tour in late September, Native get back on the road, this time with support from Solids on select dates. See complete tour dates below. Native's entire sophomore album is currently available to stream/share HERE. Check out the band's live in-studio video session for Audiotree HERE. Also, Native are scheduled for a Daytrotter session on November 1st. Be on the lookout for that to post in the fall. In just a handful of years, Native have quietly built themselves a large word-of-mouth following in the underground as an incendiary live act. The iconoclast group's impeccable musicianship, ominous chords, apocalyptic vocals and innovative rhythms hit with an intensity that can only be described as akin to a white-knuckle thrill ride. Orthodox was recorded by Greg Norman (Russian Circles, Pelican) in Tolono, IL and in Chicago throughout 2012 and 2013. The album's taut 8 songs were eventually chosen out of nearly 20 tracks written over a grueling couple of years of writing and reworking ideas in near seclusion. 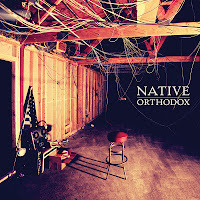 Native's critically-acclaimed 2010 debut full length Wrestling Moves was also issued by Sargent House. The band's self-released EP We Delete: Erase in 2008 got the attention of Sargent House, who then signed the band to management and label. 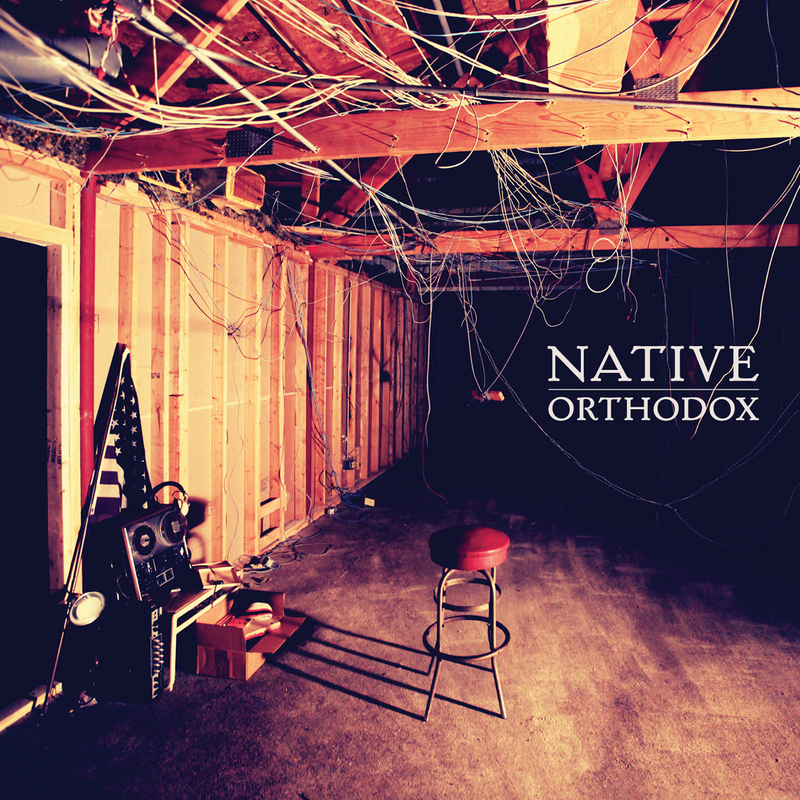 Orthodox is available everywhere on LP, CD and download via Sargent House as of August 20th, 2013. 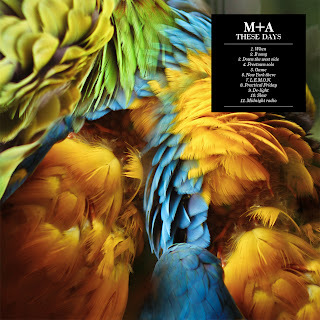 Italian artpop duo M+A release the followup to their critically praised debut today, sharing the second single along with a video teaser. 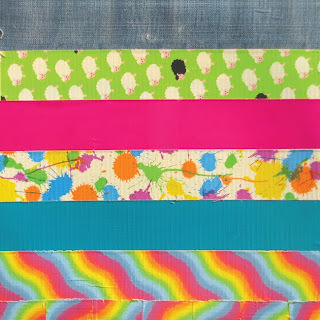 The track, "B Song" is available as a free download/stream via Soundcloud HERE. 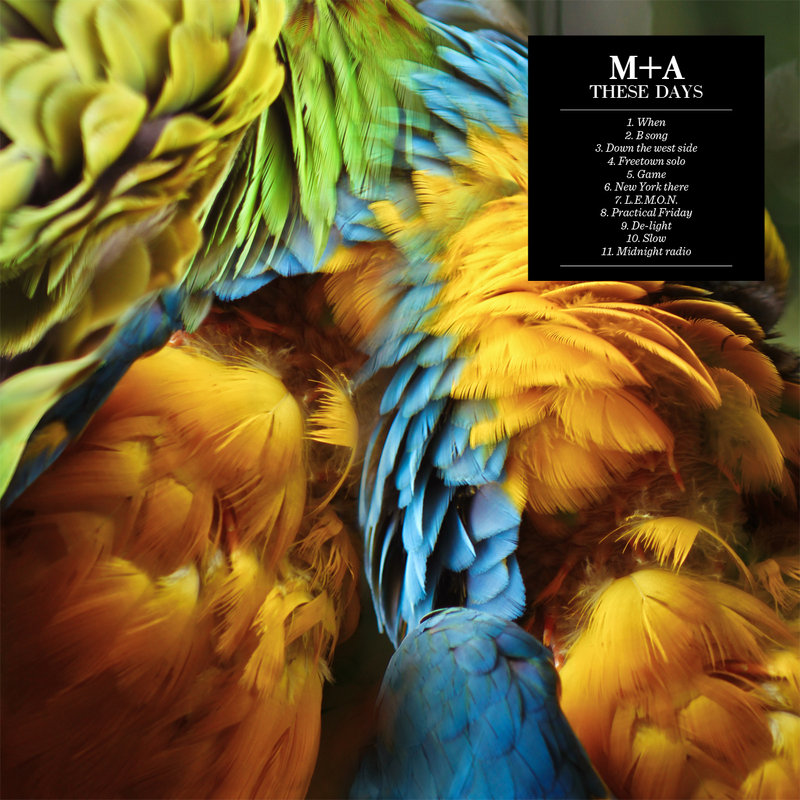 M+A also offer song snippets from the entire hook-laden album in this video teaser. 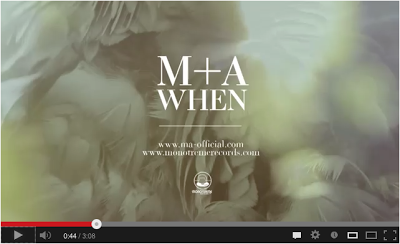 M+A previously released the lead track, "When" which is available to stream/download HERE.